Teach me to act firmly and wisely, without embittering and embarrassing others. Give me the physical strength to bear the labors of this day. Direct my will, teach me to pray, pray in me. Amen. So the priest Zadok, the prophet Nathan, and Benaiah son of Jehoiada, and the Cherethites and the Pelethites, went down and had Solomon ride on King David's mule, and led him to Gihon. There the priest Zadok took the horn of oil from the tent and anointed Solomon. Then they blew the trumpet, and all the people said, "Long live King Solomon!" And all the people went up following him, playing on pipes and rejoicing with great joy, so that the earth quaked at their noise. Adonijah and all the guests who were with him heard it as they finished feasting. When Joab heard the sound of the trumpet, he said, "Why is the city in an uproar?" While he was still speaking, Jonathan son of the priest Abiathar arrived. Adonijah said, "Come in, for you are a worthy man and surely you bring good news." Jonathan answered Adonijah, "No, for our lord King David has made Solomon king; the king has sent with him the priest Zadok, the prophet Nathan, and Benaiah son of Jehoiada, and the Cherethites and the Pelethites; and they had him ride on the king's mule; the priest Zadok and the prophet Nathan have anointed him king at Gihon; and they have gone up from there rejoicing, so that the city is in an uproar. This is the noise that you heard. Solomon now sits on the royal throne. Moreover the king's servants came to congratulate our lord King David, saying, 'May God make the name of Solomon more famous than yours, and make his throne greater than your throne.' The king bowed in worship on the bed and went on to pray thus, 'Blessed be the LORD, the God of Israel, who today has granted one of my offspring to sit on my throne and permitted me to witness it.'" Then all the guests of Adonijah got up trembling and went their own ways. Adonijah, fearing Solomon, got up and went to grasp the horns of the altar. Solomon was informed, "Adonijah is afraid of King Solomon; see, he has laid hold of the horns of the altar, saying, 'Let King Solomon swear to me first that he will not kill his servant with the sword.'" So Solomon responded, "If he proves to be a worthy man, not one of his hairs shall fall to the ground; but if wickedness is found in him, he shall die." Then King Solomon sent to have him brought down from the altar. He came to do obeisance to King Solomon; and Solomon said to him, "Go home." [Paul Appeals to Agrippa to Believe] While he was making this defense, Festus exclaimed, "You are out of your mind, Paul! Too much learning is driving you insane!" But Paul said, "I am not out of my mind, most excellent Festus, but I am speaking the sober truth. Indeed the king knows about these things, and to him I speak freely; for I am certain that none of these things has escaped his notice, for this was not done in a corner. King Agrippa, do you believe the prophets? I know that you believe." Agrippa said to Paul, "Are you so quickly persuading me to become a Christian?" Paul replied, "Whether quickly or not, I pray to God that not only you but also all who are listening to me today might become such as I am-- except for these chains." Then the king got up, and with him the governor and Bernice and those who had been seated with them; and as they were leaving, they said to one another, "This man is doing nothing to deserve death or imprisonment." Agrippa said to Festus, "This man could have been set free if he had not appealed to the emperor." [Paul Sails for Rome] When it was decided that we were to sail for Italy, they transferred Paul and some other prisoners to a centurion of the Augustan Cohort, named Julius. Embarking on a ship of Adramyttium that was about to set sail to the ports along the coast of Asia, we put to sea, accompanied by Aristarchus, a Macedonian from Thessalonica. The next day we put in at Sidon; and Julius treated Paul kindly, and allowed him to go to his friends to be cared for. Putting out to sea from there, we sailed under the lee of Cyprus, because the winds were against us. After we had sailed across the sea that is off Cilicia and Pamphylia, we came to Myra in Lycia. There the centurion found an Alexandrian ship bound for Italy and put us on board. We sailed slowly for a number of days and arrived with difficulty off Cnidus, and as the wind was against us, we sailed under the lee of Crete off Salmone. Sailing past it with difficulty, we came to a place called Fair Havens, near the city of Lasea. [The Lesson of the Fig Tree] "From the fig tree learn its lesson: as soon as its branch becomes tender and puts forth its leaves, you know that summer is near. So also, when you see these things taking place, you know that he is near, at the very gates. Truly I tell you, this generation will not pass away until all these things have taken place. Heaven and earth will pass away, but my words will not pass away. [The Necessity for Watchfulness] "But about that day or hour no one knows, neither the angels in heaven, nor the Son, but only the Father. Beware, keep alert; for you do not know when the time will come. It is like a man going on a journey, when he leaves home and puts his slaves in charge, each with his work, and commands the doorkeeper to be on the watch. 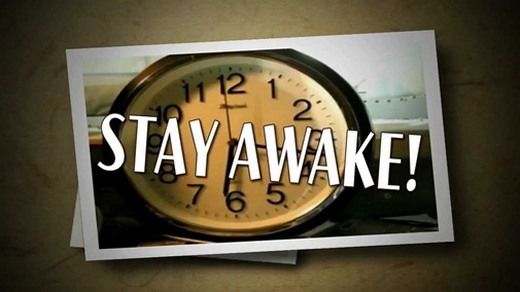 Therefore, keep awake-- for you do not know when the master of the house will come, in the evening, or at midnight, or at cockcrow, or at dawn, or else he may find you asleep when he comes suddenly. And what I say to you I say to all: Keep awake." 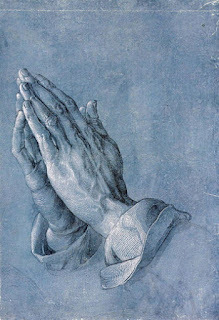 1 Give ear to my words, O LORD; consider my meditation. 2 Hearken to my cry for help, my King and my God, for I make my prayer to you. 3 In the morning, LORD, you hear my voice; early in the morning I make my appeal and watch for you. 4 For you are not a God who takes pleasure in wickedness, and evil cannot dwell with you. 5 Braggarts cannot stand in your sight; you hate all those who work wickedness. 6 You destroy those who speak lies; the bloodthirsty and deceitful, O LORD, you abhor. 7 But as for me, through the greatness of your mercy I will go into your house; I will bow down toward your holy temple in awe of you. 8 Lead me, O LORD, in your righteousness, because of those who lie in wait for me; make your way straight before me. 10 Their throat is an open grave; they flatter with their tongue. 11 Declare them guilty, O God; let them fall, because of their schemes. 12 Because of their many transgressions cast them out, for they have rebelled against you. 13 But all who take refuge in you will be glad; they will sing out their joy for ever. 14 You will shelter them, so that those who love your Name may exult in you. 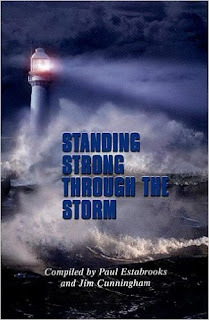 15 For you, O LORD, will bless the righteous; you will defend them with your favor as with a shield. 1 LORD, do not rebuke me in your anger; do not punish me in your wrath. 2 Have pity on me, LORD, for I am weak; heal me, LORD, for my bones are racked. 3 My spirit shakes with terror; how long, O LORD, how long? 4 Turn, O LORD, and deliver me; save me for your mercy's sake. 5 For in death no one remembers you; and who will give you thanks in the grave? 6 I grow weary because of my groaning; every night I drench my bed and flood my couch with tears. 7 My eyes are wasted with grief and worn away because of all my enemies. 8 Depart from me, all evildoers, for the LORD has heard the sound of my weeping. 9 The LORD has heard my supplication; the LORD accepts my prayer. 10 All my enemies shall be confounded and quake with fear; they shall turn back and suddenly be put to shame. Psalm 10 Ut quid, Domine? 1 Why do you stand so far off, O LORD, and hide yourself in time of trouble? 2 The wicked arrogantly persecute the poor, but they are trapped in the schemes they have devised. 3 The wicked boast of their heart's desire; the covetous curse and revile the LORD. 4 The wicked are so proud that they care not for God; their only thought is, "God does not matter." 5 Their ways are devious at all times; your judgments are far above out of their sight; they defy all their enemies. 6 They say in their heart, "I shall not be shaken; no harm shall happen to me ever." 7 Their mouth is full of cursing, deceit, and oppression; under their tongue are mischief and wrong. 8 They lurk in ambush in public squares and in secret places they murder the innocent; they spy out the helpless. 9 They lie in wait, like a lion in a covert; they lie in wait to seize upon the lowly; they seize the lowly and drag them away in their net. 10 The innocent are broken and humbled before them; the helpless fall before their power. 11 They say in their heart, "God has forgotten; he hides his face; he will never notice." 12 Rise up, O LORD; lift up your hand, O God; do not forget the afflicted. 13 Why should the wicked revile God? why should they say in their heart, "You do not care"? 14 Surely, you behold trouble and misery; you see it and take it into your own hand. 15 The helpless commit themselves to you, for you are the helper of orphans. 16 Break the power of the wicked and evil; search out their wickedness until you find none. 17 The LORD is King for ever and ever; the ungodly shall perish from his land. 19 To give justice to the orphan and oppressed, so that mere mortals may strike terror no more. 2 For see how the wicked bend the bow and fit their arrows to the string, to shoot from ambush at the true of heart. 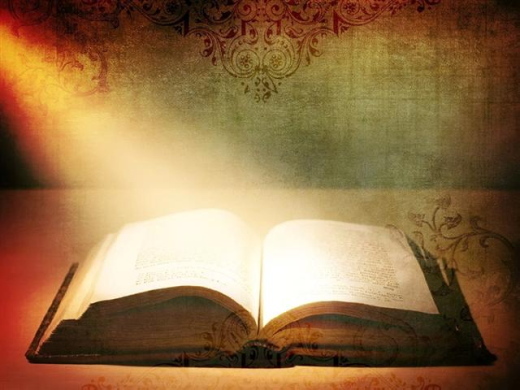 4 The LORD is in his holy temple; the LORD'S throne is in heaven. 5 His eyes behold the inhabited world; his piercing eye weighs our worth. 6 The LORD weighs the righteous as well as the wicked, but those who delight in violence he abhors. 7 Upon the wicked he shall rain coals of fire and burning sulphur; a scorching wind shall be their lot. 8 For the LORD is righteous; he delights in righteous deeds; and the just shall see his face. Oh Lord and Master of my life, take away from me the spirit of laziness, cowardliness, lust for power, and malicious and idle speech. But rather give me, throughout the day to come, an ample spirit of vitality and force in your service, to the benefit of your glory and the good of my fellow man. Let me act in humility, patience, and decency at all times, seeing my own error and overlooking the faults of others; and let me always know the presence of your Holy Spirit, to remind me of what I have asked, in the name of my savior Jesus Christ, Amen. O Thou who art my quietness, my deep repose, My rest from strife of tongues, my holy hill, Fair is Thy pavilion, where I hold me still. 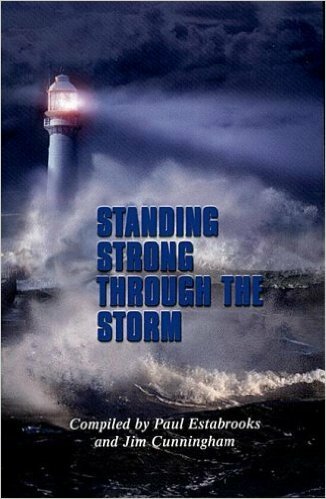 What though the tumult of the storm increase, Grant to Thy servant strength, O Lord, and bless with peace. Amen. singing a (mostly) English hymn. May the God of peace, who declared victory over death by the resurrection of His only Son, Jesus Christ, make me perfect in every thought and act through His grace, that my life might be pleasing in His sight and that I might share the perfect peace that is only possible through Him, to whom be glory for ever and ever. Amen. Death is the great separator, but Jesus Christ is the great reconciler. Believers who have been separated by death will be brought back together by Jesus. In the rapture of the church, not only will Christians meet the Lord in the air, but we will be reunited with friends and loved ones who have already gone on to be with the Lord. Isn’t that wonderful to know? If you have lost a loved one who was a believer, you will see him or her again. That is a great comfort for anyone who has ever lost someone they cherished in life. One moment you could be going about your life on earth, and the next moment you could be hurtled into the presence of Jesus Christ Himself and your departed loved ones. In the second chapter of 1 Thessalonians, the apostle Paul reveals that we not only will be reunited with our Christian loved ones and friends, but we also will be reunited with the people who trusted in Jesus through our witness. He wrote, “For what is our hope, or joy, or crown of rejoicing? Is it not even you in the presence of our Lord Jesus Christ at His coming?” (1 Thessalonians 2:19). From this it would appear that each of us would have grouped around us in Heaven those whom we helped to believe in Jesus. Understand, God gives the increase in evangelism (see 1 Corinthians 3:7). By His grace, He allows us to participate in the wonderful process of seeing people come to faith. And when we get to Heaven, we’ll be able to see what kind of impact our lives have had. Doesn’t that make you want to redouble your efforts in personal evangelism? Doesn’t that make you want to do something for Him? When we get to Heaven, we'll see what kind of impact our lives have had. Sáname, Señor, y seré sanado; sálvame y seré salvado, porque tú eres mi alabanza. Cuando llegué a conocer de Dios, al poco tiempo alguien me habló de que necesitaba sanidad interior. Al principio, no entendía, pues no me consideraba enferma. Sin embargo, después comprendí que todos vamos enfermos del alma a encontrarnos con Jesucristo. Por supuesto, unos más que otros. Muchos traemos heridas aún sin sanar y esto afecta a las personas que nos rodean. 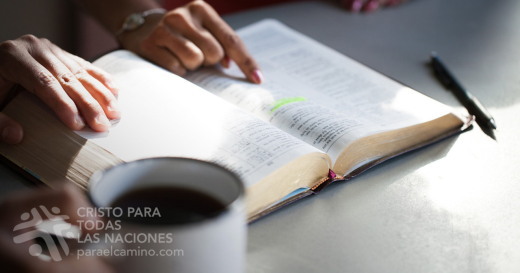 Si uno está mal en las emociones, no tenemos la capacidad para salir adelante como Dios quiere, ni podremos dar lo mejor de nosotros a otros. Yo tenía enfermas mis emociones, pues unos días me sentía feliz y otros me sentía morir. Vivía en un constante cambio de ánimo lo cual daba inestabilidad a mis princesas. Estaba enferma del alma y en esa etapa de mi vida tomé las peores decisiones. El Manual de Instrucciones habla de que no debemos ser personas de doble ánimo y por eso es que nos debemos dejar orientar y ayudar. Hoy en día, muchas de las iglesias cristianas cuentan con personas preparadas para aconsejarnos y, con la ayuda de Dios, lograremos obtener nuestra sanidad. No nos creamos autosuficientes. «Todos» necesitamos sanar el alma. Necesitamos reconocer que solo con la ayuda de Dios obtenemos una verdadera sanidad interior. Una vez sanados, podremos ayudar a otros, en especial a nuestros hijos y cónyuges. Si la mujer está bien, podrá ser ese motor esencial del hogar. 1. Carl Lawrence, The Church in China (Minneapolis, MN: Bethany House Publishers, 1985), p.149. But I’m so glad I’m not the author of those stories. Each and every one of these friends has ministries that impact thousands upon thousands of women all over the world. God has turned their pain into purpose, the misery into ministry, and their devastation into anointed messages of hope and restoration. Sudden glories fill and spill from each of these women’s lives. Their love journeys of living and moving and having their being in Christ have led them through dark valleys and back out into the light on the other side. They practically glow with radiant wonder. Glory moments in difficult times are not dependent on our circumstances, but on our focus. Focus on the difficulty and God is difficult to see. Focus on God and glory seeps through the broken places. Difficulties become the bass notes of our life’s song, adding a depth and beauty not found in a life that hovers around middle C.
After my husband and I got out of college, we moved to Charlotte so that my husband could go into practice with another doctor. But after we moved here, the doctor changed his mind. “Sorry, Steve. Good luck,” the doctor said. I was so upset. OK, I was angry. Flat out angry. Angry with the doctor and angry with God. We had no money. No job. And school debt. We are ever the students. He is the teacher still. Trials rip away the flimsy fabric of self-sufficiency and become the raw material for God’s miracles in our lives. And those miracles are a sudden glory. Father, thank You for always knowing and doing what is best for me. Forgive me when I don’t trust You, but think that my way is best. I know that You have wonderful surprises in store for me when I simply trust You in all things. Thank You for being the Teacher. Help me to be a good student of Your Truth. We can easily fall into the trap of thinking that God has forgotten us during difficult time. How do we see that in David’s words of Psalm 77:1-9? Now read the rest of the Psalm. What did David do to remind himself of the faithfulness of God? How does trusting God change the way you look at difficult situations? 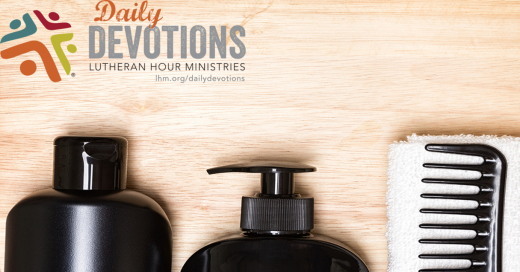 LHM Daily Devotion - August 29, 2017 "Silly Suggestions? I Don't Think So." "Silly Suggestions? I Don't Think So." With all of North Korea's saber rattling, a few weeks ago some of her nearby neighbor nations decided to review the programs they use to prepare their people for a nuclear attack. 5. DO NOT use hair conditioner. Wait! What was that last one? Don't use hair conditioner? Are you serious? That doesn't make any kind of sense at all. What was that Guam government thinking? Well, when the nation of Guam put out its instructions, the no-hair-conditioner clause was, most-definitely printed out for all to see. Now I know the rule sounds like a silly one, but the Guam government is standing by what it wrote. And, for two reasons, the scientific community is in agreement. Reason 1: Don't use hair conditioner because it is sticky and will catch those radioactive isotopes and hold them next to your brain. Reason 2: Don't use hair conditioner because it employs chemicals to close up the hair follicle and, once again, hold those radioactive isotopes next to your noggin'. So, you see, the suggestion isn't as silly as it once sounded. You know, over the years I've met a fair number of people who think the Lord has given His people some silly suggestions. And if you're curious, I'll tell you what I mean. How about the one in our text above, which reminds us to be faithful in worship? There's a ton of people whose actions show they think the Lord was silly when He inspired that to be written. Talk to them about worship and they respond, saying, "I can worship God in the woods (shop, cabin, golf course) just as easily as I can in church." They say, "I don't get anything out of the sermon." They say, well, they say a lot of things, which show they think the Lord's got it wrong. Folks, He didn't get it wrong. You see, the Lord didn't make that suggestion just for the individual. He made it for the church. When you worship, you show the world whose side you are on. When you worship, your fellow church member is strengthened. When you worship, you are showing your willingness to obey the Lord whose Son was sacrificed for your salvation. And besides, you're not that good a prophet to tell whether some sermon is going to be just the one for you. THE PRAYER: Dear Lord, You see that which I cannot. Let me have the faith and the spirit of humility to acknowledge that You know what You are doing and Your ways are best. This I ask in my Savior's Name. Amen. Tú me enseñas el camino de la vida; con tu presencia me llenas de alegría; ¡estando a tu lado seré siempre dichoso! A Daniel Boone una vez le preguntaron: "¿Alguna vez estuvo perdido?" A lo que contestó: "No, pero una vez estuve sumamente confundido durante tres días". La respuesta de Boone fue graciosa. La historia de Kay Gadsby es trágica. Kay era una joven inglesa de 21 años que sufría muchos problemas físicos. En su corta vida tuvo un trasplante de corazón, y estuvo en la lista de espera para recibir un tercer trasplante de riñón. Kay falleció cuando la ambulancia que la llevaba al hospital perdió su rumbo en el recorrido de 30 millas. Aparentemente, el conductor había ido a ese hospital sólo una vez y, cuando el sistema de navegación de la ambulancia falló, no logró encontrar la forma de llegar. Mientras Kay le preguntaba una y otra vez a su madre: "¿No voy a morir, no es cierto? ", el paramédico se turnaba entre atenderla a ella y pasarse al asiento de adelante para darle instrucciones al conductor. Tanto usted como, yo continuamente vemos pasar cientos de autos y camiones. Me pregunto cuántos de sus ocupantes aún no conocen al Salvador. Todos están muy ocupados yendo a algún lugar, pero ese lugar, en la mayoría de los casos, no es el cielo. Todos creen, al igual que Kay, que van a llegar al destino para el cual se subieron al vehículo, pero no siempre todos lo logran. Esa es una de las razones por la cual usted y yo, que hemos sido salvados por Cristo, hacemos lo que hacemos. Si conocemos a alguien a quien se le ha roto el sistema de navegación, lo dirigimos a la Palabra de Dios donde, como dice el salmista, el Señor nos da a conocer el camino que lleva a la vida. Si alguien necesita un trasplante, le presentamos al Salvador, que es el gran médico del cuerpo y del alma. A quien está confundido y no sabe qué camino tomar, lo dirigimos hacia Jesús, quien es el camino por excelencia. Es una gran tragedia que Kay haya muerto en esas circunstancias. Pero mayor tragedia aún será si quienes nos rodean nunca llegan a conocer al Salvador que puede perdonar sus pecados, sanar sus almas, y llevarlos al cielo. ORACIÓN: Señor Jesús, estoy rodeado de personas que se encuentran perdidas y muriendo. Te pido que, cada vez que sea posible, me ayudes a mostrarles el camino que lleva a ti. En tu nombre. Amén.